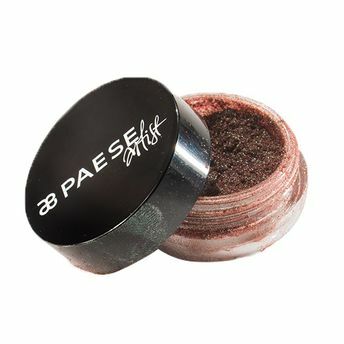 The Paese Cosmetics Mineral Pigment Eye shadows are high impact, shimmery loose pearl eye shadows that help create illuminating eye makeup looks. These high on pigment eye shadows have silk proteins that smooth the surface of the eyelid and prevent irritation while Silicone oils help extend the life of pigments. These long lasting, multi-purpose Pure Pigment eye shadows can be used both wet or dry and can be used as an eyeliner too.